Website traffic is measured by the number of visitors to a website, and the pages they click on. When a visitor arrives at the site, their presence is recorded and any links that they click on are also monitored. Understanding website traffic can be the key to unlocking the potential of a website. Being able to develop a targeted approach to increase traffic based on how visitors are using a site and on search engine strategies allows the website owner to improve their site. This gives the website owner an idea of how many people are visiting the site. The more traffic your website gets, the more popular it is. There are many ways to analyze website traffic. One indicator is the time the visitor stays on the site. So, if the visitors are only staying a minute and are not looking at the other content on the site the owner can try to solve the problem. 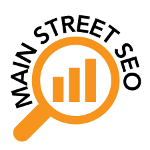 One of the best ways to do that is through search engine optimization, or SEO. SEO uses keywords, links, and other methods to improve a websites rank in search engine results. While these methods are not foolproof, and require a lot of research and understanding of how search engines operate, they do give users a step up from other websites not using SEO to build their traffic.